Croatian real estate prices are lower than other Mediterranean countries. For example, prices for residential property vary from the low €70.000 (for an old traditional stone house by the sea for sale that needs renovation), renovated house with pool for sale starting at 150.000 EUR, beach front villas with pool for sale from 500.000 EUR, to the high-end, top luxury villas for sale under 1 million EUR, to waterfront villas for sale in Croatia at 1 million EUR or more. Furthermore, nice family house for sale with sea view and 2 – 3 bedrooms and garden, can be found for as low as €150.000, depending on the distance to the sea front and the year it was built, the price can go reasonably up (or down), however, it is always well into the “great property investment” price range. In addition, wonderful, sea view, one bedroom apartments for sale in Croatia are available from as low as €60.000 with an excellent ROI during the tourist season, which makes Croatia one of the best markets for real estate investment. Seafront land plot for sale in building zone can be found at 300 EUR per square meter. Croatia is a developed tourist destination, according to the British Sunday Times, one of the 4 best European destinations for 2011. Croatian tourist income has not faced any recession, on the contrary, it is growing rapidly year by year by 10-12%. Many owners of residential properties in Croatia and a lot of our clients, take this advantage to make extra income. They rent their Croatian homes to tourists. LuxuryCroatia.net can help you to put your home in rental business. Contact us for advice and instructions how to market your house/villa or apartment on the rental market, or if you do not want to bother yourself, we can do it for you. We already have more than 500 rental properties, mostly villas with pool, in our rental offer. Example of rental income per year: a beach front house with 4 bedrooms brings to our client, ( a Norvegian owner) over €30.000 per year. Meeting the guests and managing the property (cleaning, preparation, security, etc.) is done by specialized agencies which we can recommend, and LuxuryCroatia.net team takes care of all bookings. Thus, with the owner gaining extra profit from his property in Croatia, house pays out for itself in reasonable time and all other expenses are covered with rental profit. Every twist and turn of the coastline serves the grandstand views of secret coves, little harbours, and calm turquoise waters. Out in the Adriatic Sea, a galaxy of islands (1244 of them), shimmer like a cache of emeralds. Number of great national parks can be found in this beautiful country, from the Kornati Archipelago, Mljet Island, to the famous Plitvice Lakes National Park – (with one of the 3 most beautiful waterfalls in the world, consisting of 16 lakes connected with waterfalls) to the priceless, UNESCO protected heritage sites, cities and intangibles. All this makes Croatia truly the greatest treasure of the Mediterranean. LuxuryCroatia.net offers variety of villas for rent, from traditional renovated stone houses with pool for rent, beach front villas for rent, sea view modern villas for rent, to top luxury villas for rent at the most exclusive locations. 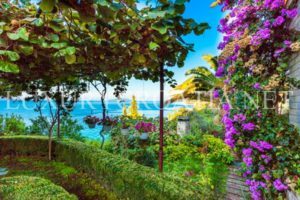 There are Dubrovnik villas for rent, Hvar villas for rent, Split villas for rent, seafront villas for rent in Croatia and many more. Read more interesting facts about Croatia in our follow-up post.